How to Ship Large Paintings by Tom Lieber? 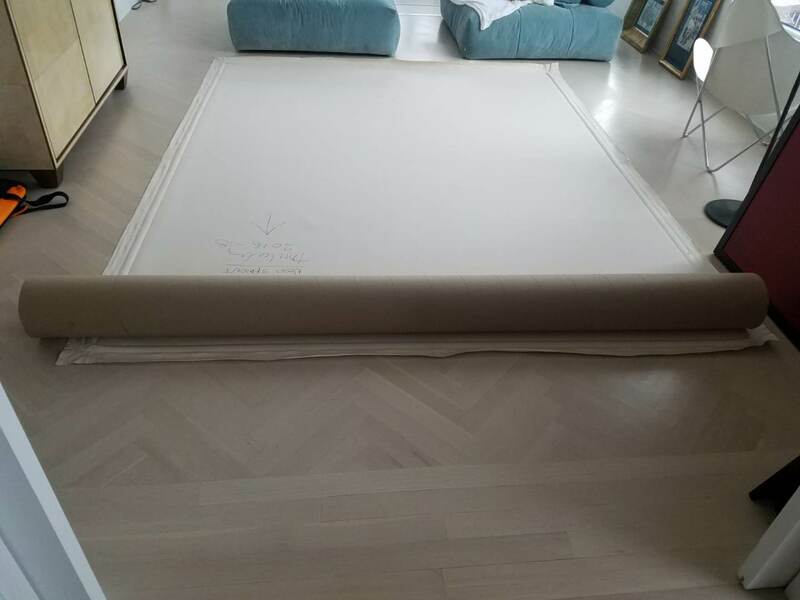 How to ship large paintings cross country? 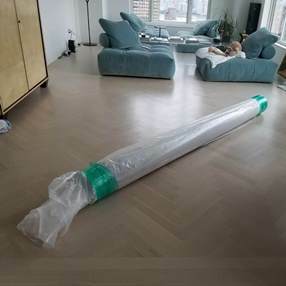 This task is indeed a challenging one because shipping large paintings is never easy, especially if you need to transport them over a long distance. However, the good news is that you are in the right place! At Fine Art Shippers, we know exactly how to ship large paintings cross country and even internationally in the safest and most secure way possible! Fine art shipping is our family business, but it is also our passion, and we do enjoy working with art of any kind. For example, Fine Art Shippers is proficient in shipping art prints, bronze sculptures, antique religious icons, porcelain, and a whole range of other artworks. It is needless to say that our team is also proficient in shipping large paintings by many prominent contemporary artists, such as Vladimir Nazarov and Tigran Tsitoghdzyan. Besides, not so long ago, we were so fortunate to receive a call from Tom Lieber and help him move his impressive artworks to another state. Tom Lieber is a popular American contemporary artist born in Saint Louis, Missouri in 1949. This talented person is best known for his large abstract paintings exploring relationships between colors. Tom Lieber is a true legend in his area, and his amazing artworks are already exhibited in the best museums worldwide, including the Metropolitan Museum of Art and the Guggenheim Museum in New York, the Museum of Contemporary Art in Los Angeles, the Museum of Modern Art in San Francisco, and the Tate Gallery in London. Shipping fine art for this incredible artist was an honor and a unique experience for Fine Art Shippers at the same time! Our team of professional art handlers in NYC was entrusted to pack Tom Lieber’s paintings, move them for temporary storage, and then ship the artworks cross country. 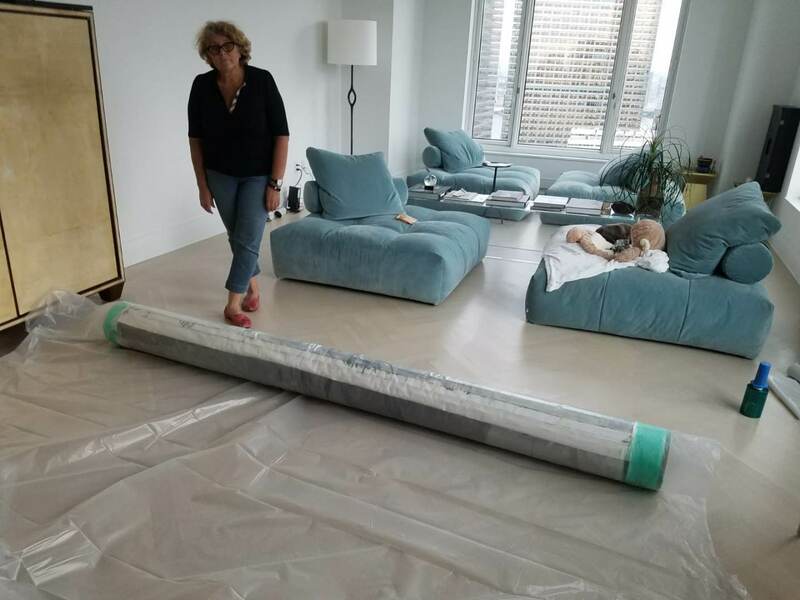 Each painting was really large, measuring 10 feet by 8 feet, so the only right way to transport it safely was to roll the piece and pack it in special art packing materials. In the photos below, you can see how we did it for Tom Lieber. 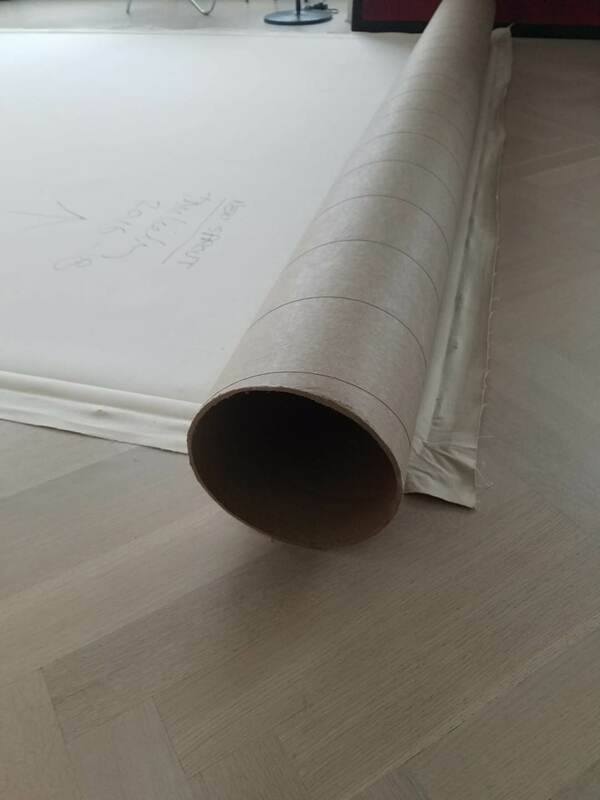 At Fine Art Shippers, we know how to ship large paintings of any size, and we are always ready to provide art business professionals and individuals with our fine art packing and shipping services at a reasonable price. As for Tom Lieber’s paintings, we definitely look forward to working with this talented artist and his masterpieces again!